Achiltibuie is about 40 minutes drive from Ullapool which is itself just over an hour from Inverness. Take the A9 north to the first roundabout, then follow the signs for Ullapool on the A835. Ullapool is reached after about 50 miles. As you enter Ullapool, the main road (A835) which is signposted to Achiltibuie heads off to the right. 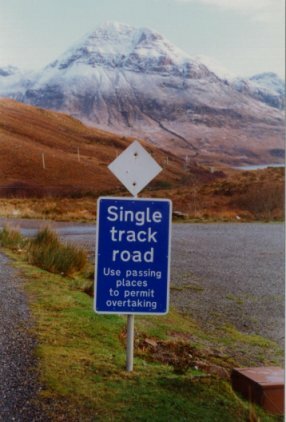 Follow this road out of Ullapool for 10 miles, passing through the villages of Ardmair and Strathkanaird. You will then see a road off to the left signposted for Achiltibuie. The last 15 miles along this road is through stunning mountain and loch scenery. Remember that others may wish to pass you on the road so pull in to a passing place as you take in the views. 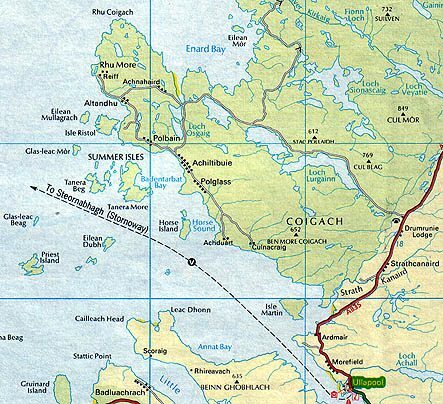 The self catering house is in Reiff which you can see from the map is at the north end of the peninsula. Follow the road signposted to Reiff and our house is the first up the hill on the right, just before you pass the Reiff signpost. If you get lost, just ask anyone!